Released in 1976 by Mego, the Star Trek Super Phaser II Target Game was a projectile-free target game that preceded Laser Tag. 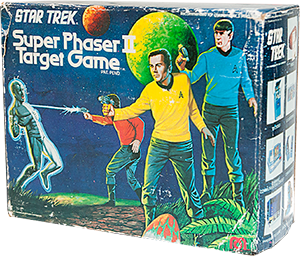 The game consisted of two pieces: a quasi-replica of the phaser used in the TV show, and a target reflector badge featuring a picture of a Klingon D7 battle cruiser. 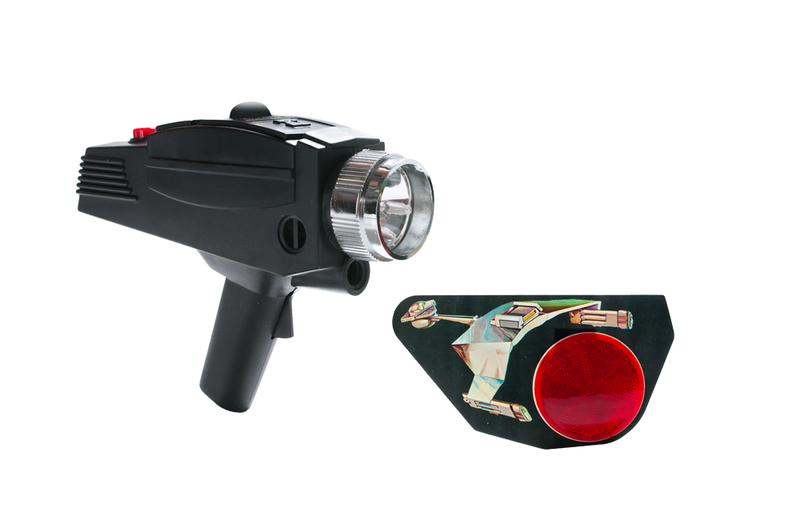 The phaser’s light beam and “sonic buzzer device” were powered by two AA batteries and one 9-volt battery. While the game lacked the accuracy of its successors, it still provided hours of fun, especially for neighbourhood landing-party combat missions. It also contained some pretty cool box art.